There are new awards and enhancements, but some payout thresholds have been raised at the wirehouses. The markets have been good to investors this year, leading many to wonder how they will stack up in 2014. For many wirehouse reps, the big question is what next year means for their payout grids. The wirehouse firms don’t want to cut advisor compensation for fear that they will leave, but they are still under pressure to improve profits. “The challenge is how to show shareholders that they are saving money while not angering advisors enough to run for the door,” said Danny Sarch, founder and head of Leitner Sarch Consultants, in an interview with ThinkAdvisor. These firms also are trying to capture and influence as many client assets as possible, as RIAs do. Some RIAs charge for assets that are held away from their operations, like within a 401(k) plan or trust, Sarch explains. But, if clients agree, the some wirehouse advisors can charge a fee for advising them on how to best invest assets held away from their firm. 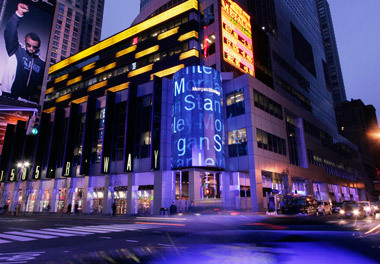 Experts see Morgan Stanley as the firm making the biggest changes to its payout grid in 2014. Many of its 16,500 advisors, who haven’t seen major grid changes over the past 10 years, are now being asked to raise their performance by 10% to jump to the next payout level. For example, to reach the 41% payout level, an advisor has to bring in $440,000 in 2014 vs. $400,000 in 2013. In general, grid payouts at Morgan Stanley (MS) range from 28% to 47% of advisor sales. However, advisors who have been with the firm for nine years or more and have production of less than $300,000 get 20%. Morgan Stanley advisors with clients who take loans from the bank can be considered for bonuses that go as high as $202,500, a big jump from 2013, according to the firm. Also, advisors will be able to get full payout on client households with less than $100,000, provided the households are enrolled in the OneView account aggregation service and have outside assets of at least $150,000. Overall, the company says, its growth awards for 2014 have three components tied to increases in assets, lending and revenue. The awards are available to more reps (not just those in the top 40%) for revenue growth of $300,000. The top combined award for the asset and lending components is $300,000, while the revenue-growth award has no cap and can reach 5% of total revenue. Merrill Lynch (BAC) says it isn’t tinkering with its 2014 payout grid. It is, though, adding an award to expand its team-focused business. To be eligible for the award, a team must double its revenue over five years from its 2013 revenue baseline. The award can total up to 10% of a team’s incremental revenue growth. An enhancement to the strategic growth award for advisors aims to boost trust-related fees. It includes double credit for positive fee-based flows tied to trusts. And Merrill rolled out a plan that allows advisors 55 and older to stay at Merrill for several years in a senior consultant role as their clients transition to other team members. At UBS-Americas (UBS), the emphasis is on boosting the number of relationships associated with financial plans and the flow of net new assets, and the comp changes go into effect July 1. Wealth management awards at UBS will be given in two parts. Awards of up to 1.75% of production will be given for advisory fees and up to 4% for revenues tied to relationships covered by financial plans; production to be considered for the financial planning award will be capped at 50% of fees and commissions tied to the plan. Awards for net new assets will be given if these assets total $10 million and up, or $5 million and up including a new client relationship of $1 million or higher. The awards are capped at 5% of production; advisors can receive 15 basis points for the first $50 million, and some mortgages and other credits lines continue to be included in the qualifying grid. In addition, expense allowances for many UBS advisors will expand by $500 to $2,000 a year. UBS advisors can earn payouts between 28% and 45% of sales. But starting next year, the payout threshold will go up at some levels. For instance, a 39% payout that previously required $400,000 in sales will now require $425,000. The UBS-Americas payout grid hasn’t changed over the past four years, experts say. Check out Wirehouses Held Prisoner in Broker Bonus Wars on ThinkAdvisor.